People tend to think linearly, while in practice most connections are circular. Thus, we often have multiple causes of an effect, and multiple effects from a cause. 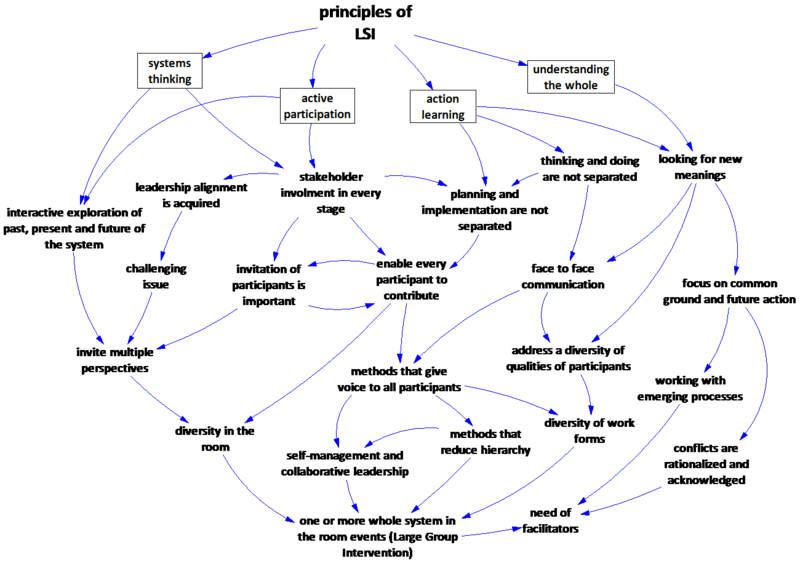 Making Causal Loop Diagrams (or CLDs) brings circular reasoning into focus. 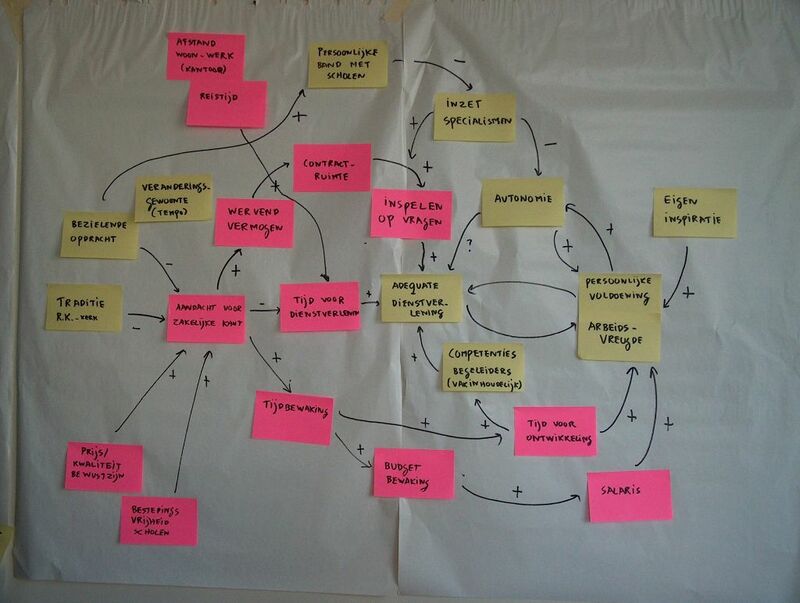 An example of a causal loop diagram from a social system is given below, under Group Model Building. I also use the Vensim program to visualise the coherence in a web of variables or to build flow diagrams. For example to visualise the characteristics of Large Scale Interventions, stemming from the basic principles. Causal loop diagrams can also be thought up along with a group. The factors influencing a situation or problem are brainstormed together. Next, a model is made of the interrelations among these factors, and we attempt to identify reinforcing and balancing causal loops. The conversation process is just as important as the model itself. What do you mean with that term? Which influences are most important, what are minor factors? If we make a specific choice, what obervable effects do we want to get? It is a sensemaking process. Archetypes are prototypes for patterns which can occur in organisations. They help make diagnoses for causes and effects (such as potential system conflicts) in organisations, but also give points of application for driving forces towards more structural solutions.